Happy Hump Day! 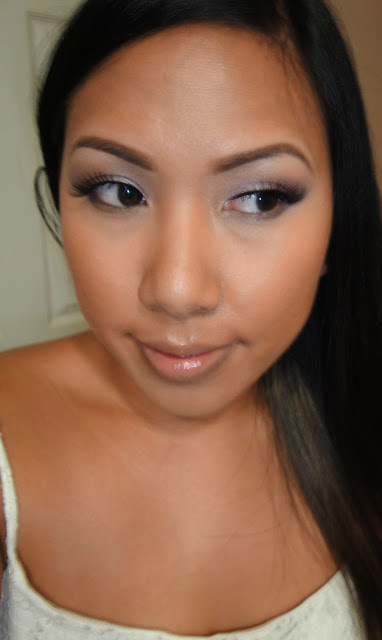 I wanted to share with you a really pretty daytime look I wore to a blogger event last week. I really went out of my box and rocked pastels and shimmer - I never do that! I really liked how this came out and I used some really affordable products to accomplish the look. Check it out! 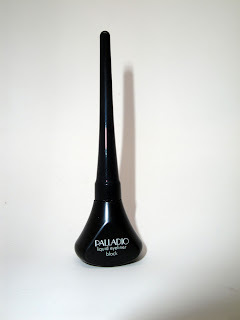 Palladio has made a come-back on my blog. Their products are super affordable and great quality. 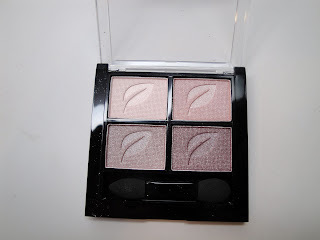 I received so new items to test out and they did not disappoint, check it out! 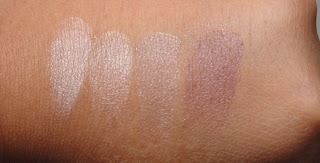 For a low price point, you get nicely pigmented colors that apply and blend easily. The packaging is also very durable with a thick plastic cover - your eyeshadows will be safe in this quad. In person, the top left shade is more of a satin pale pink. It looks matte but actually has a soft pearl finish. It makes a really pretty browbone highlight. The remaining have a lot of glitter particles in person, but they apply with more of a shimmer finish. I wasn't sure I'd like this quad because I don't usually do pastels and I don't usually do shimmer, but I was surprised that I really liked it. It looks amazing on the yes, which is what matters. I'm a sucker for black liquid liner in old school packaging. This liner has a nice felt tip point that makes lining easy and precise. I like this old school pot format because it doesn't dry out as easy as the new pen forms. This is a non-streaky liner that is more of an all-black color, better for everyday looks since it's more subtle. Tip: Try creating small, dotted lines across your lid then fill them in in order to get a nice straight line. I was going to a Blogger Beauty Event during the day and wanted a soft makeup look. This palette was perfect. The shimmer and pastels were very daytime appropriate (you can skip the falsies if you want - i'm rocking Velour Lashes here) and I got a lot of compliments on the look! FYI - I'm wearing CoverFX liquid foundation and NARS Chihuahua lipgloss. You can find Palladio products at Ulta, Sally Beauty, and www.PalladioBeauty.com. Stay tuned for tomorrow's post and I'll show you how I turned this look up with some color at the blogger event!